This versatile design and stylish burnham Black leather bring together a sense of relaxation, laid-back demeanor and well-rounded function to any home with ease. 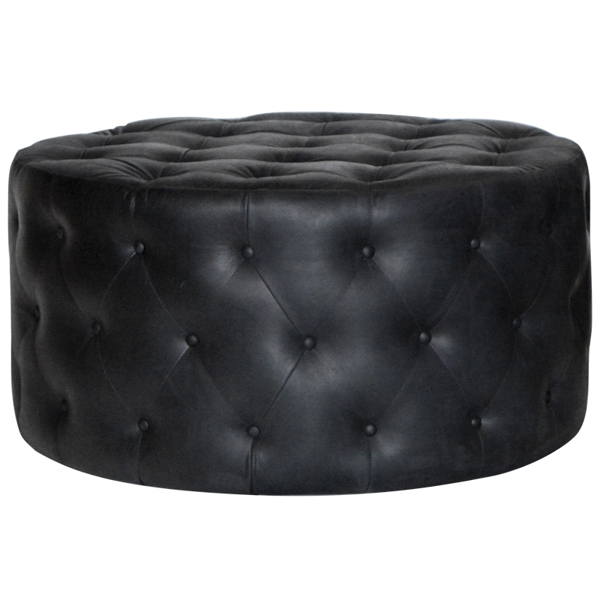 Pair with seating pieces to add a tailored and contemporary look to your living space. Dimensions: Dia. 39" x H 19"